NC State is already at the vanguard of the plant sciences, but a new $45 million grant from the Golden LEAF Foundation will bolster the university’s stature by making the Plant Sciences Initiative a reality. This grant positions North Carolina as a global leader for education, research and innovation in the plant sciences. The initiative is a partnership of NC State and the N.C. Department of Agriculture and Consumer Services. Its centerpiece is the $160.2 million Plant Sciences Research Complex — an interdisciplinary center to be built on Centennial Campus that will house academic, government and industry experts working together to solve some of agriculture’s most pressing challenges. The Golden LEAF grant is the largest single investment ever made in the College of Agriculture and Life Sciences — and among the largest in the university’s history. “This investment further establishes North Carolina and NC State as international leaders in agricultural research and innovation, which will yield significant economic opportunities for our rural communities while providing food solutions to people across the globe,” said Chancellor Randy Woodson. 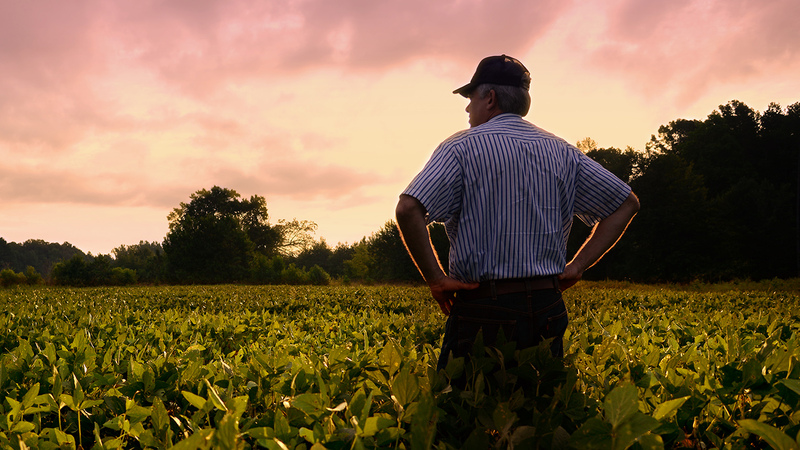 Boosting state agriculture and creating prosperity have always been core elements of NC State’s land-grant mission. And for Dan Gerlach, president of Golden LEAF, the investment is consistent with his nonprofit organization’s mission of improving rural North Carolina’s economic well-being. 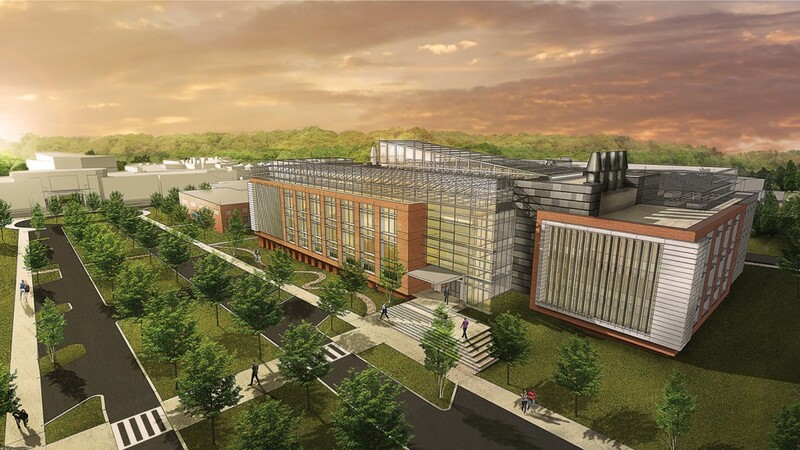 A rendering of the Plant Sciences Initiative Research Complex on Centennial Campus. With the Golden LEAF’s latest grant, more than $9 million additionally contributed to the project by 42 agricultural groups across the state and $85 million approved by voters through the Connect NC Bond, the project can now move forward. Golden LEAF’s investment means NC State has now secured $144.2 million of the $160.2 million needed for the complex — and the university is on track to complete construction of the world-class plant research facilities by 2021. For College of Agriculture and Life Sciences Dean Richard Linton, this investment — and the wide-ranging support the Plant Sciences Initiative has received — is a strong endorsement of NC State’s agricultural research and extension, which already has an annual economic impact of more than $1 billion in rural North Carolina. Yes they wanted to keep our foods in North Carolina fresh so that the people can buy it and enjoy it whenever that want to eat it. Also to send it to the other state of this country. Really happy to see this grant secured to help build the new plant research center on Centennial Campus. I’m sure it will lead to great things and be very functional. My only complaint is why can’t we ever build something that’s not only functional, but equally as “aesthetically” pleasing. Beauty is of course in the eye of the beholder, but the renderings aren’t very impressive to look at. And we’re going to be stuck with it for probably 100 years. Then again, all of Centennial Campus is built to look like a generic business park found anywhere. Wasted opportunity to me. Why does NC State hate classical forms of architecture that age gracefully instead of these attempts at post-modernism that are hideous? Guess I can at least be content to see the Harrelson monstrosity finally demolished. There’s about 10 more that should go along with it. You sound like you spent a time hanging on Franklin St. Hmm? If the university followed your idea, then we just look like we are copying UNC or UVA with those tired worn out “Classical” forms. When the Greeks (Romans just copied) made those so called “classical” forms, they were not “classical” to the Greeks at the time, they were “MODERN” to those Greeks. This is MODERN to us. So what if you hated Harrelson Hall, at least some people had the ba11s to try something daring at NCSU, instead the stale, tired thing over and over. YOU want to go BACKWARDS by doing that same old tired “classical” form. That sir, would be a wasted opportunity. Those classical forms of architecture aren’t tired or worn out. That’s why they are called classical. People continue to love them. They stand the test of time. And they can be pursued using modern inflections and materials to offer an up-to-date look and feel while still preserving the aesthetic. If you poll NC State alumni they’ll overwhelming tell you their favorite part of campus is the original east side around the bell tower. Why? because it uses attractive, classical styles. It looks the best and FEELS the best. Unfortunately, we abandoned this style and settled on the “sputnik” style from the 60s/70s, of which Harrelson was a part along with Dabney, Cox, and others. Those buildings look as if they could be part of Central prison. Nothing redeeming or endearing about any them. If they invoke a “feeling” at all, it isn’t a good one. Centennial campus represented a blank slate. And we built a generic office park. The only attractive building on the entire campus is the Park alumni center. If our campus is a brochure, its amazing our College of Design gets any students. Bottom line is aesthetics and curb appeal matter as much as function. Unfortunately we continue to miss the mark with the structures we build. Everyone knows it. This is a very positive opportunity. I hope that NCSU will use this money to improve our scientific understanding of soil biology, natural growth processes, and restoration of soils throughout the globe. Congratulations to all who have invested and will continue to invest so much time and energy to make this wonderful program for North Carolina a reality. NCSU is a very excellent home for what will no doubt be great things to come. The Golden Leaf Foundation (not as it’s namesake implies) is an organization that brings innovative solutions to the Agribusiness field. It will lead to more sustainable agriculture which is a service to our children and decedents. It is critical that organic, sustainable practices be in the equation!! I hope organic, sustainable practices will be in the equation. This truly makes me proud and thankful. Congratulations. As an Emeritus Professor of Plant Pathology (1964-2017), I am proud of what the College of Agriculture and Life Sciences stand for and for all their accomplishments. This generous grant will go a long way to foster and improve their efforts to serve the public and North Carolinians. Keep up the good work, and once again, congratulations. The future of any state college is ensured by the development of Agriculture & Life sustaining science starting NOW! It is my sincere hope that these funds will contribute to the well-being of our community, on not just a local but a global level, by supporting and furthering the growing of crops organically and without genetic modification. What an incredibly bio-diverse state North Carolina is – I hope these funds will assist in promoting the thousands of native plants and crops of North Carolina that I fear will soon be annihilated if we continue the trend of destroying our natural resources through pesticide use and poorly planned residential and commercial building. I am confident that NC State’s faculty, students, and staff will use these funds to make real, positive changes. Go Pack! Here in Iowa or Nebraska Monsanto gets the patent after the University does the research. Organic cultivars probably not in North Carolina project unless contribute grants. Who are the grant donors ?